A dealer cannot live by MPS alone. At least that was the overarching theme echoed by many of the speakers at the Managed Print Summit symposium, held late last year as part of the Business Imaging Expo trade show put on by The Imaging Channel. The presentations—delivered by a diverse group of analysts, OEM executives and managed print service providers during the day-long event—touched upon the challenges currently facing resellers that have embraced the MPS business model, along with ways for those dealers to overcome those challenges. Richard Van Dyke, president of Advanced Office Services/Imaging Plus, a California-based document imaging provider, summed up the state of the industry succinctly and starkly: “If you [remain primarily] an MPS provider, you will not survive,” he opined. “We have lost some good accounts due to being undercut on pricing.” He reported that he has seen some MPS contracts with pricing of less than a penny per page—a level at which he says it is nearly impossible to make money. There has always been the debate on whether or not you should print in color because colored ink can cost more than black ink. Color is fun, vibrant and can draw in and hold someone’s attention better than plain black and white. But is it worth the cost to print in color? Depending on what you’re printing yes, it is worth it!. When looking for an MPS tool you must be clear on first determining what problems do you anticipate or what problems do you want to solve. It is appropriate to involve your organization at this stage. In general, companies may take one of the following two approaches: commission the order fulfillment and account billing organization, or commission the IT team. 6 out of 9 take the second approach. But this reveals as an error over time due to the nature of the MPS business. In this article we will help you to identify how to use your team when evaluating an MPS tool in order to ensure the success of your MPS business medium and long term. When evaluating an MPS tool it all starts by answering to the core question: what are you looking for? It seems that nowadays there is a consensus on the following three aspects: accuracy for an automated order fulfillment, ease to bill pages and vendor agnostic to manage any device from any vendor. Randy Dazo, senior director, solutions and services, office group, InfoTrends, notes an interest among manufacturers in penetrating this vertical market as a means of differentiating oneself from the competition. "End users seek cost savings, which is always a competitive factor among manufacturers, but the role of MDS allows the vendor to provide true value differentiation," he states. Management services allow a customized engagement with customers. Dazo says that with escalating costs, changing needs, and environmental concerns intensifying each year, relevant MPS and MDS solutions cater to current trends and continue to meet customer demands. 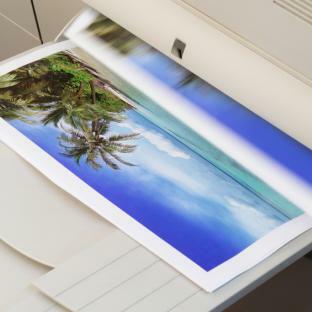 While we do encourage being environmentally friendly by using green printing habits we also know how important print is to any business and we encourage using print to advertise and market your company and products. Your company should use print advertisement along with electronic forms of advertising to see the best results. 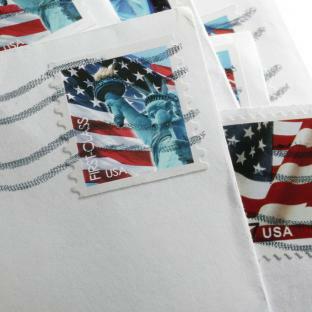 According to recent research, campaigns combining direct mail and Internet yield up to an additional 25 percent response rate and nearly 80 percent of households read or scan advertising mail sent to their household and were directly influenced to purchase an item or service. It’s a brand new year and time to put 2013 in the past and start fresh! You’ve learned lessons in 2013 that give you the ability to implement new solutions in your company in 2014 that will allow you to gain business as well as save money. If you weren’t a very green company in 2013 it’s ok. You can change that this year by adopting “green” policies for the New Year! KMBS estimates that, currently, 30 percent of its hardware sales include software and services, and it’s hoping that the figure will jump to 50 percent by the end of the fiscal year. To reach that goal, Errigo urged dealers to engage with the company so a joint business plan can be developed on a one-by-one basis, then implemented to achieve complete customer satisfaction. The five-step approach advises dealers to define customers; organize a solutions portfolio—less is oftentimes more; design the plan so it’s something that can actually be executed; train engineers and sales associates; and select partners that will foster growth. Though Kern spent more time discussing production print, an area in which the company has invested heavily and, based on its market share uptick, obviously played a key role in Konica Minolta’s growth since Rick Taylor was hired to lead the organization, the underlying theme as it pertains to office equipment was, without a doubt, portfolio uniformity. The most unique type of printing is currently the 3D printer. Mostly scientists and manufactures use the 3D printer but it’s expected to become a household item within the next few years because of its declining price and rising popularity. As of 2013 3D printers are still $13,000. This is expected to drop to $1,300 by 2016. There are many great things about the 3D printer. Here are some facts about 3D printing that you might not know. 3D printing is used in many different industries. There is a 3D printer that can create objects of widths as small as a human hair. As the 3D printer becomes a household item people will be able to make themselves other household items such as violins, jewelry, toy cars, trinkets and even a bicycle.